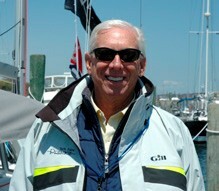 Captain John Zomermaand has joined the sales team at Prestige Yacht Sales. Zomermaand, known to many as “JZ,” retired from the corporate world a number of years ago. Having chosen to pursue his passion of being on the water as well as helping others enjoy the boating lifestyle, JZ has worked as a New England yacht broker for the last eight years. JZ recently returned from a trip down the ICW as well as a trip over to the Bahamas and Great Abaco, and is ready to share the experiences and get clients started on their own journeys with a new boat. His experience as a multiple boat owner, the most recent a Dyer 29, will help clients make decisions that are right for their families.